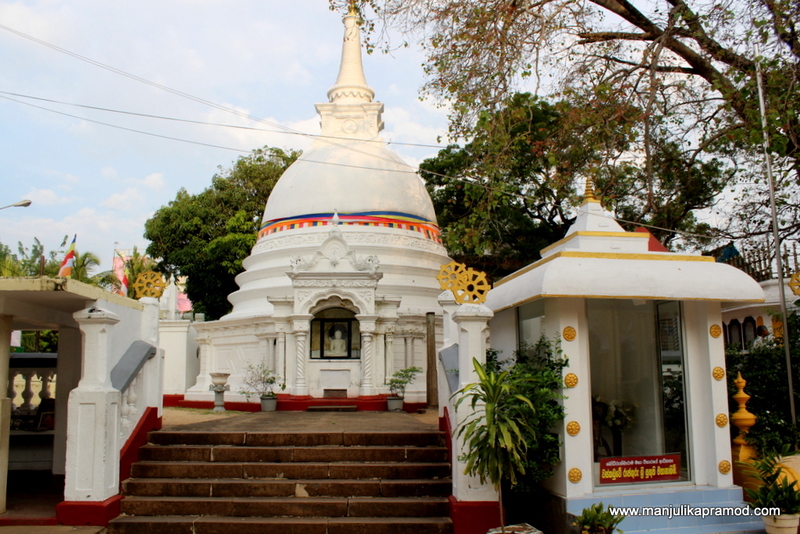 This is about my first day in Sri Lanka, precisely about my first walk in the capital city of Colombo and I was excited like a kid. We arrived early, checked in our Airbnb apartment by 12 noon and surrendered to a small nap too. I wanted to explore the city right from the word go but our bodies needed rest. It had been a late night flight from Delhi to Chennai followed by another one from Chennai to Colombo in the wee hours of the day. 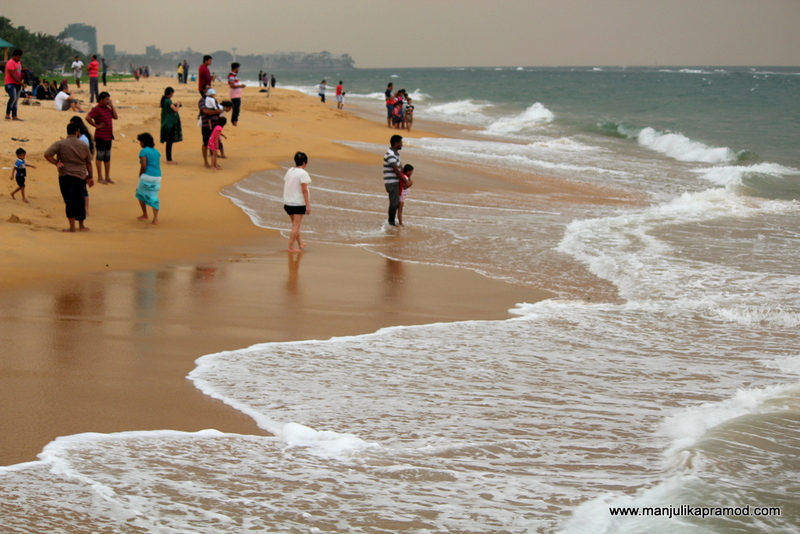 Also, the weather in the afternoon was hot and humid in the month of December. But by 4 in the afternoon, we were up, awake, fresh and impatient to head out. First we wanted to grab a small bite and then take a walk in the neighborhood. 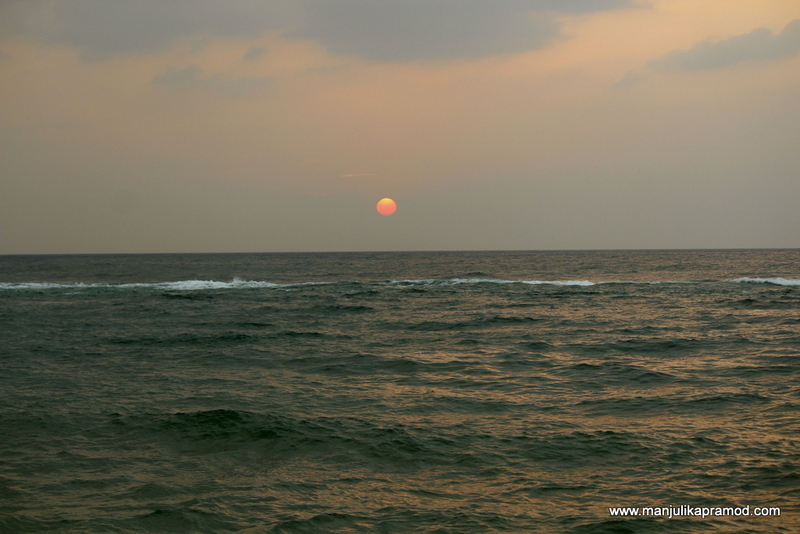 Of course, I did not want to miss out the sunset by the Marine road (Colombo Plan Road) in Sri Lanka. 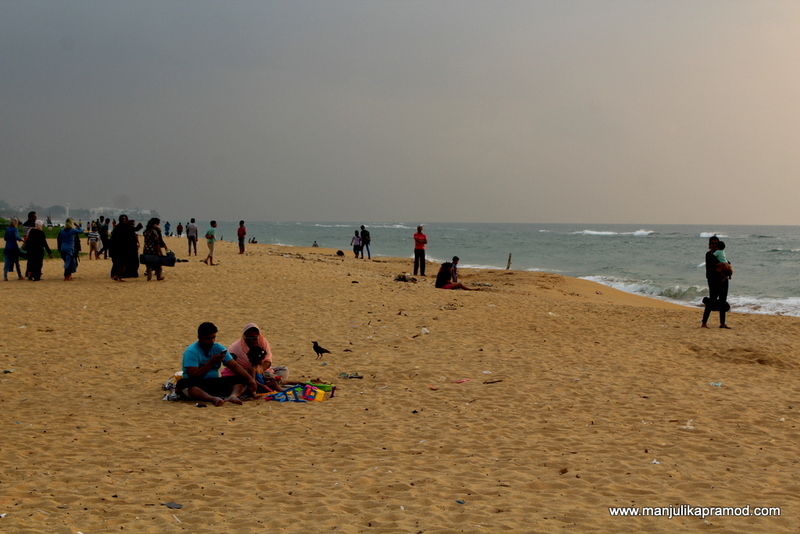 While I was chalking out my Sri Lankan itinerary, a lot of people had suggested that Colombo was like any other metropolis and we really dint need to stay there. However, I was not convinced and had a different opinion. For me, it was important to start with the capital. I am glad I followed my instinct. 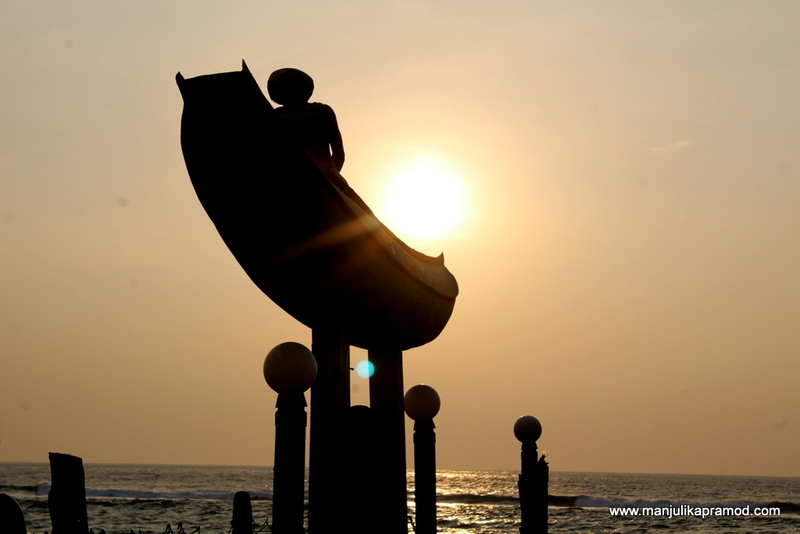 The Sri Lankan capital definitely demands 2-3 days to discover its buzz, history, culture, culinary and pretty indulgences. The first temple that was very close to my Airbnb stay. 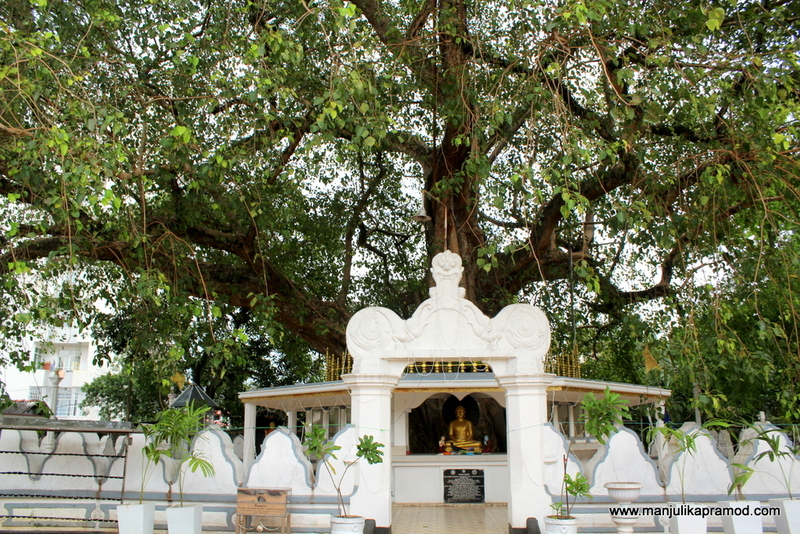 We had hardly walked for like 10 minutes in search of a eatery, when my eyes fell on a narrow street which ended on a small temple under a huge banyan tree. As we went closer, we realized what seemed small was a big Buddhist temple. I tried finding some information about it but there was no one around. The information board spoke in a different language, maybe Sinhalese. We kept using Google Maps and I remember reading sign boards which read Manning Place and then RamaKrishna road. We kept taking right and hit upon the Informatics Institute of technology. 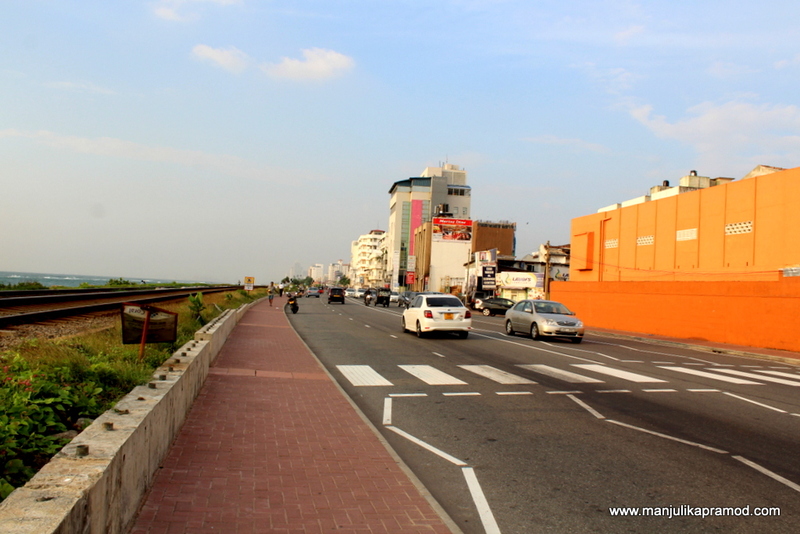 The aim was to reach the Colombo Marine Drive Road now known as Colombo Plan Road. 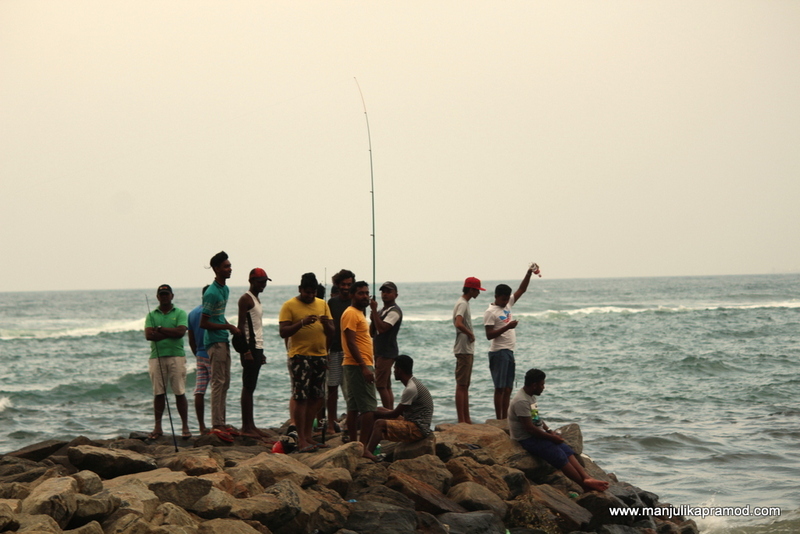 Actually I wanted to go till Mount Lavinia beach but we ended up walking till the beach somewhere near the Dehiwala canal. 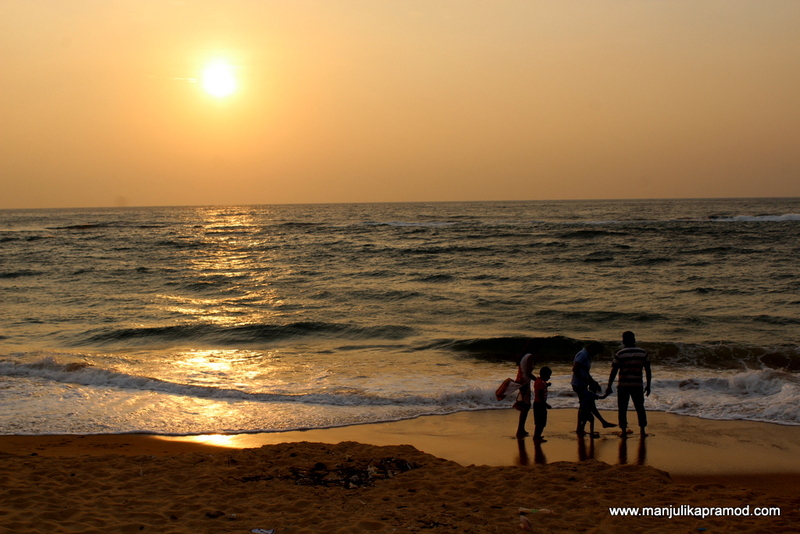 With locals around, railways track by the coastlines, beautiful breeze and a picturesque sunset setting in the Indian Ocean made for a perfect evening in Sri Lanka. 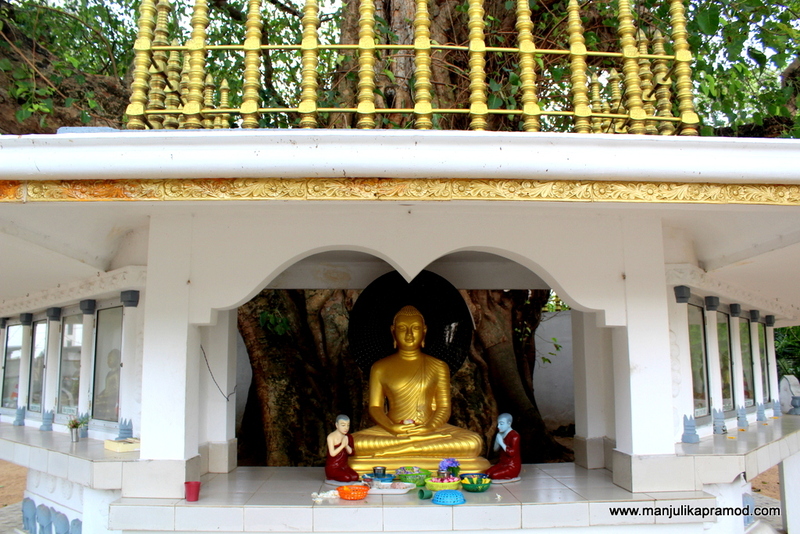 As we walked towards the coastline, we found another temple. 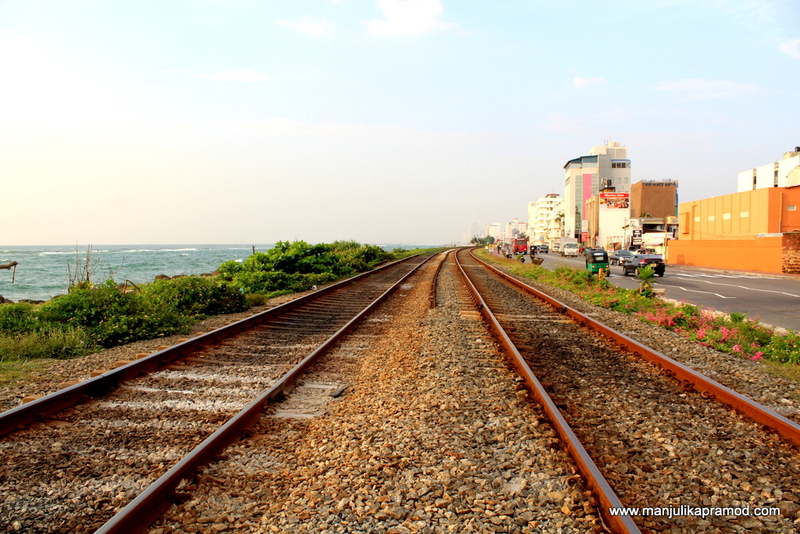 The sight of the railway tracks just by the side of the Ocean was really beautiful as I heard about it. 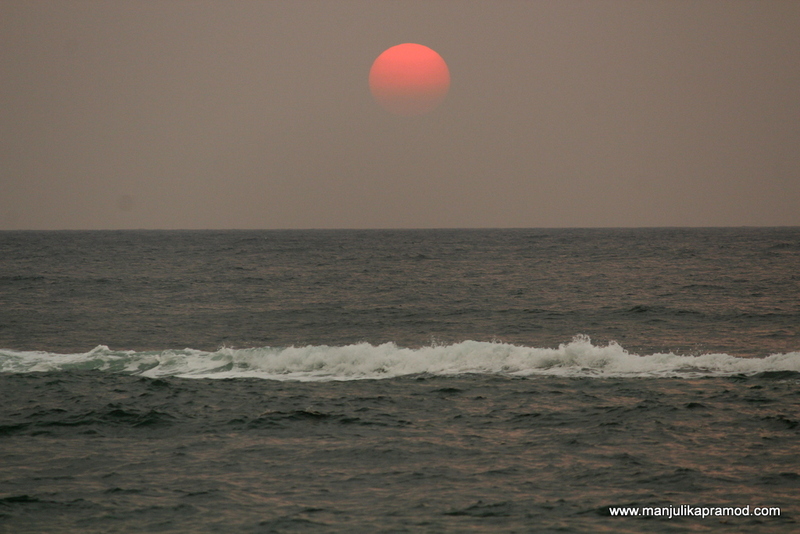 I had just seen a glimpse of it but I could believe that the route literally hugged the scenic south western coastline of Sri Lanka. 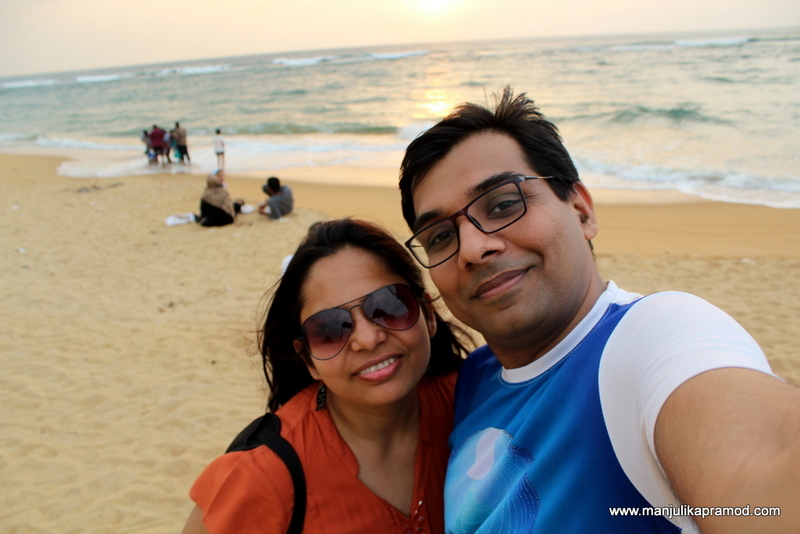 We walked further to reach a point where we could enjoy the sunset view. As we saw the locals sitting by the water and enjoying their conversations with friends and family, we knew that this was worth a stop. No doubt, the sunset was a pretty sight. Hubby and I indulged in the moment and forgot about everything else. 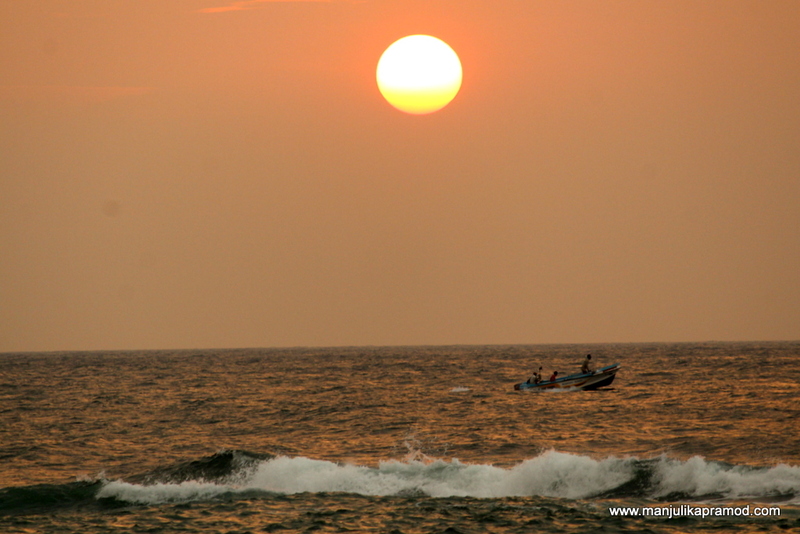 Southwestern coast of Sri Lanka. We stayed there till the burning ball was gone for the day. What a peaceful evening it had been. 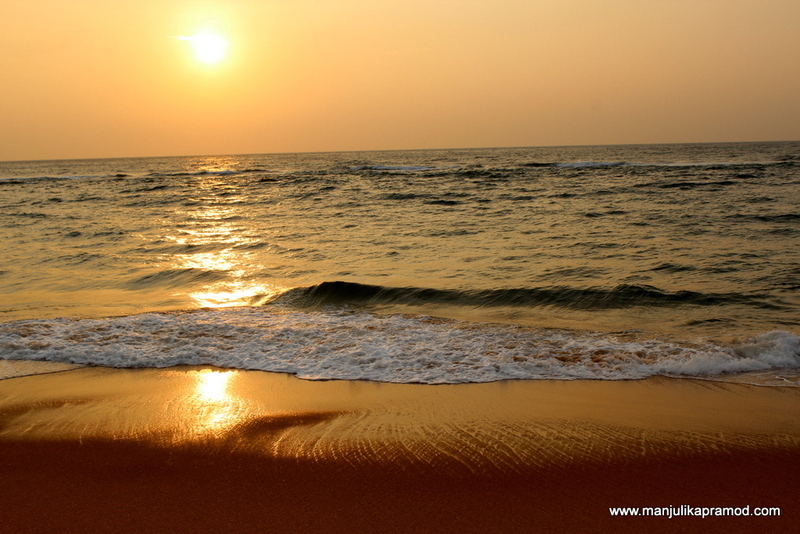 The oneness with nature is a great time to introspect and meditate. We were absolutely in no hurry to check out a hundred things. The plan was to relax and enjoy these tiny moments of joy. When it turned dark, we hired a tuktuk and asked him to drop us at Upali’s. The plan was to indulge in local food and we executed it successfully. 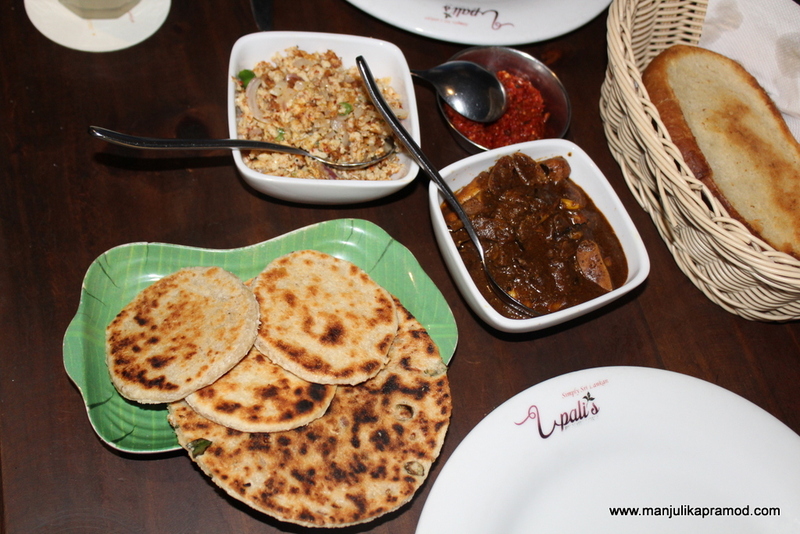 The pol roti and the jack fruit curry made for a great combination. 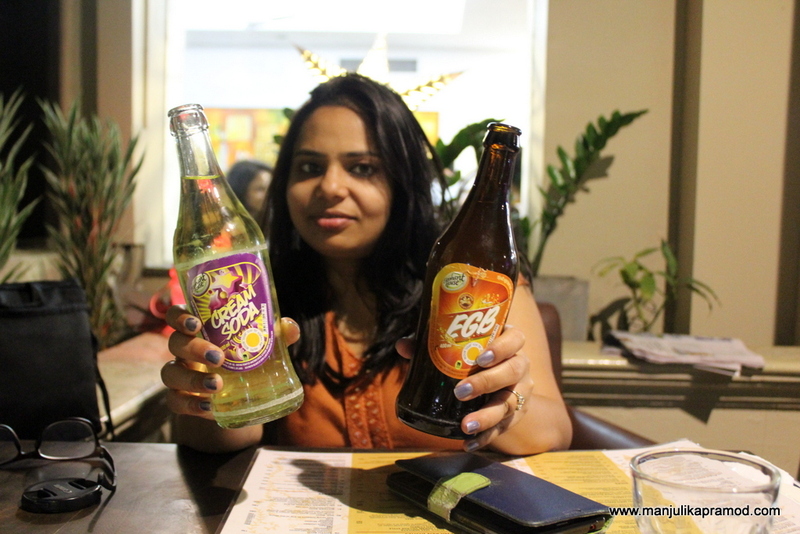 Do read my published article about all that you must eat in Sri Lanka. The first day in Sri Lanka ended on a delicious note. 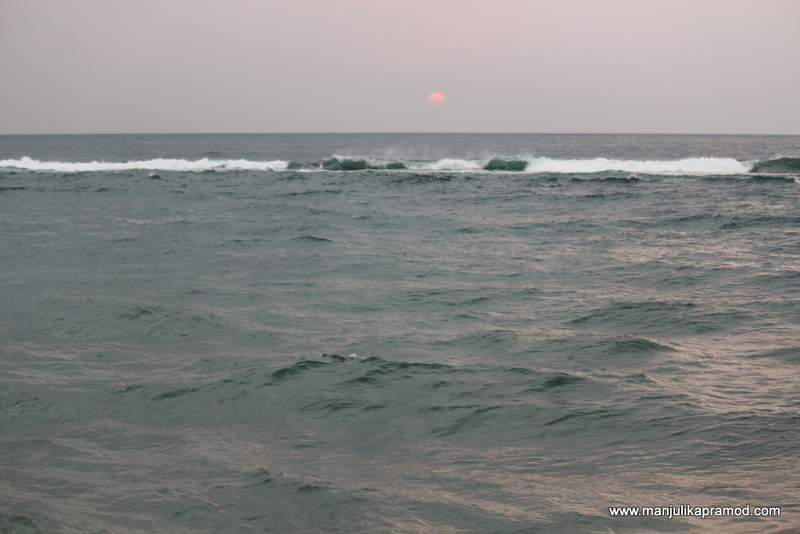 If you are planning to visit Sri Lanka, do check out my other posts. And if you love train journeys and wish to do a Ramayana Trail there do read about the Shri Ramayana Express. 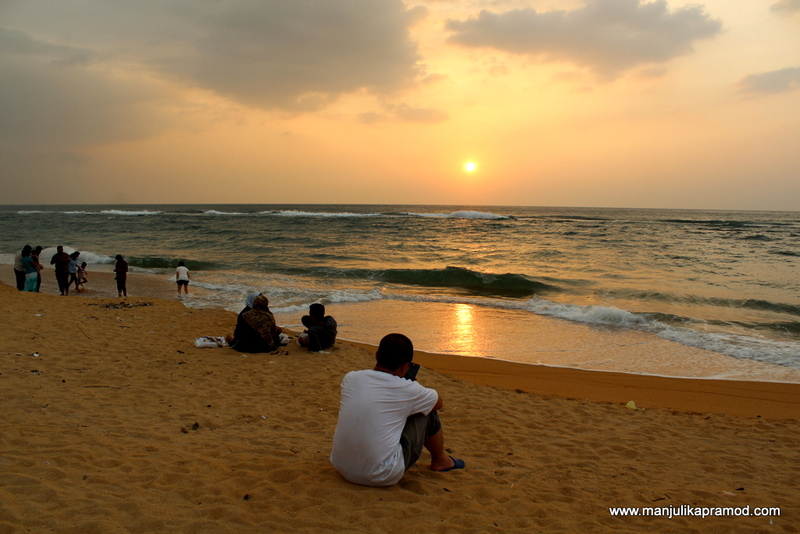 Sri Lanka is one the few remaining countries that I want to visit and keep putting it off. Reading this I think it’s time to get my act together and plan a trip. 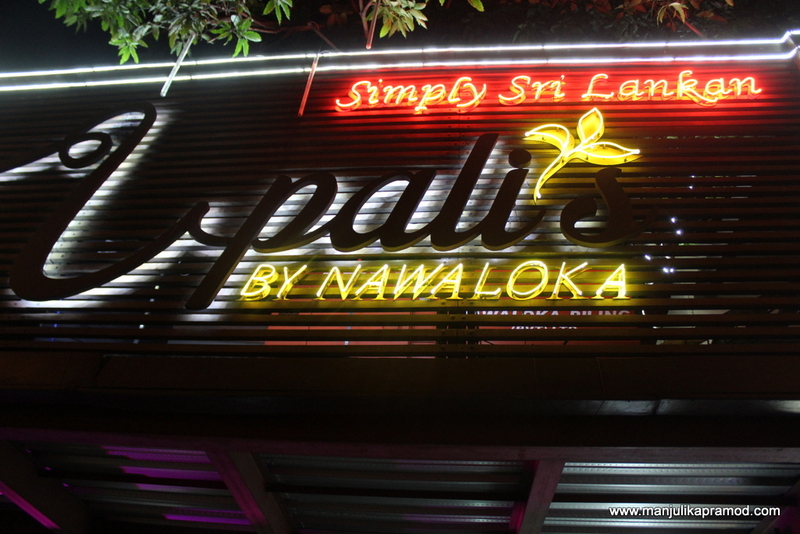 I’ve heard amazing things about Sri Lankan food and want to experience it at the source. Wonderful and amazing post! The photos are amazing and stunning too! Would love to go there someday. Thanks for sharing this amazing post. Keep on posting!